This Apple and Pear all china rolling pin was made by Harker China in the 1940's. It is in excellent condition! 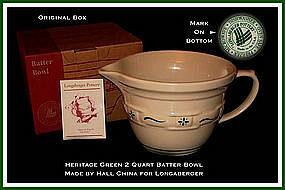 Longaberger 2 quart, Heritage Green batter mixing bowl in original box, and unused condition. 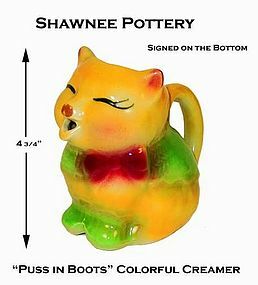 These were made by The Hall china Co. for Longaberger, and retired in 2003. Comes with original sales book.